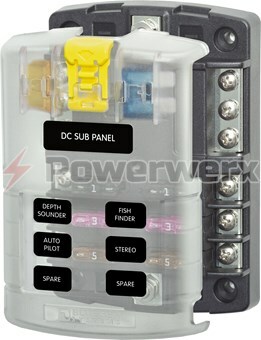 6006 m-Series (Mini) Battery Switch Single Circuit ON/OFF Switches a single battery to a single load group. 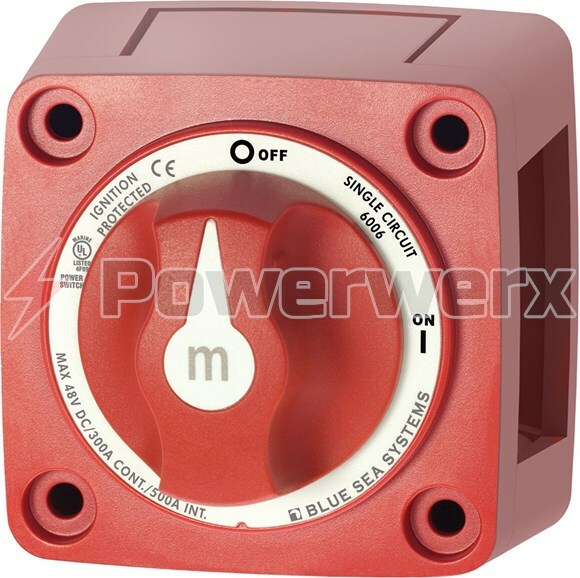 Multiple switches can be used to manage several isolated circuits including cross connecting for emergency parallel Ignition protected - Safe for installation aboard gasoline powered vehicles and boats. Case design allows surface front panel or rear panel mounting. Isolating cover with snap-on sections protects rear contacts 3/8"-16 tin-plated copper studs for maximum conductivity and corrosion resistance accepts 3/8" and M10 ring terminals. 7/8" (22.22mm) stud length to accept multiple cable terminals. 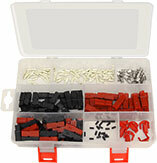 Ideal for marine, RV and emergency vehicle applications. Manufactured with non-corrosive marine grade metals. 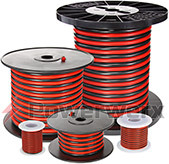 Molded in durable reinforced polycarbonate. Tactile textures indicate knob position by feel only. Label with international ON/OFF.